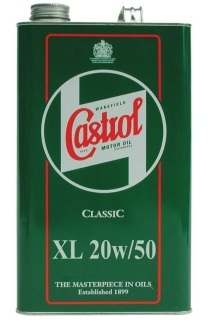 Made by Castrol in the UK for the Classic British car, pre-1980 classic cars and motorcycles . A conventional 20W-50 multi grade engine oil of good all round performance, formulated with high quality mineral oils plus selected additives, ideally suited to older technology and classic car engines. Offers excellent oil consumption, and a very high level of engine wear protection. The modern oil you can buy at your local auto parts store does not have the correct zinc content that will cause harm to your flat tappet camshaft. 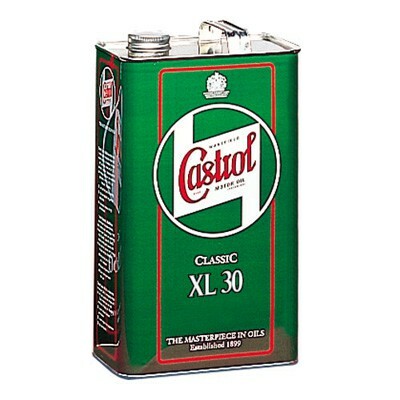 The 5 liters (5.28 quarts) of oil comes in a classic metal tin. Can be used on all British cars. 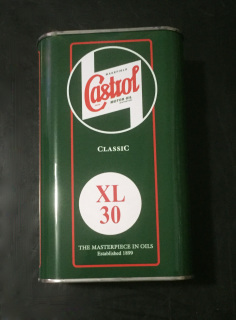 Made by Castrol in the UK for the Classic British car, this is a high quality monograde engine oil that formulated with high quality mineral oils plus selected additives and is ideally suited to older technology and classic car engines. For pre-1950 veteran, vintage and classic cars A high quality SAE 30 Monograde engine oil which is also used in most types of manually operated gearboxes fitted to vintage and classic cars. Also specified for pre-selector type gearboxes. Offers excellent cold temperature starting, and improved oil pressure at high operating temperatures. 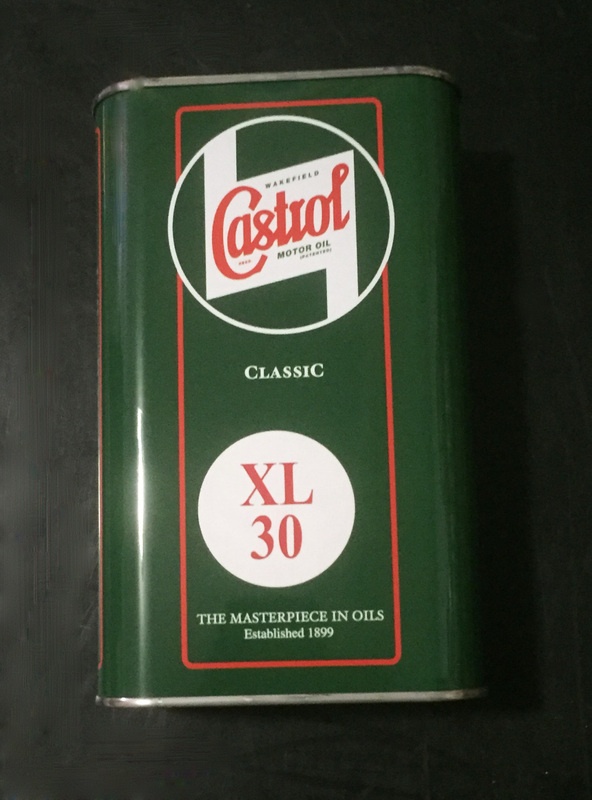 The 5 liters (5.28 quarts) of oil comes in a classic metal tin and can be used on all British cars. 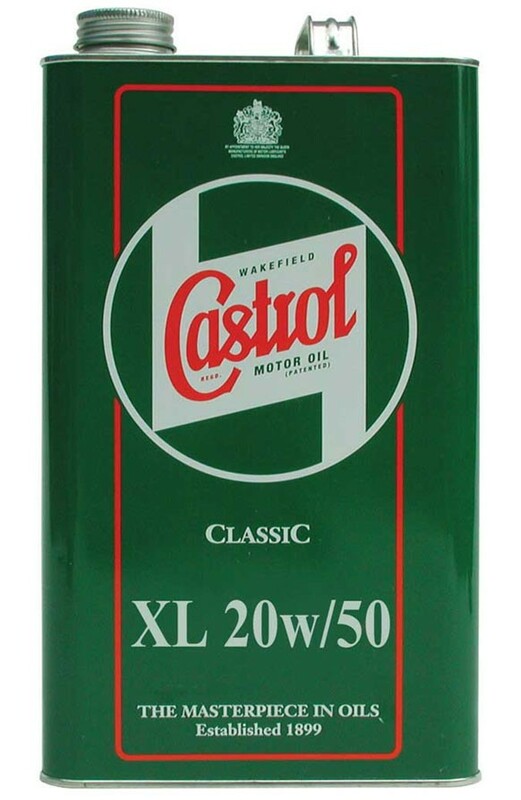 Made by Castrol in the UK for the Classic British car, this is a high quality monograde engine oil that formulated with high quality mineral oils plus selected additives and is ideally suited to older technology and classic car engines. For pre-1950 veteran, vintage and classic cars A high quality SAE 30 Monograde engine oil which is also used in most types of manually operated gearboxes fitted to vintage and classic cars. Also specified for pre-selector type gearboxes. Offers excellent cold temperature starting, and improved oil pressure at high operating temperatures. 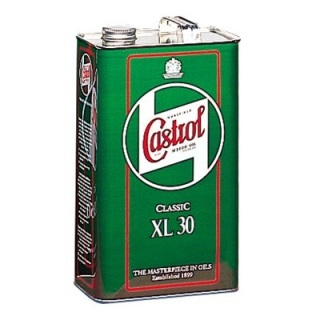 The 1 liter (1.056 quarts) of oil comes in a classic metal tin and can be used on all British cars.